Published February 10, 2014 at 1500 × 844 in Wed, 1/29 @ 2:29PM – frog skating. Wed, 1/29 @ 2:29PM – frog skating. Pat negotiates the ice frog-skating-style. Boris has successfully made it to the side of the road just ahead of him. 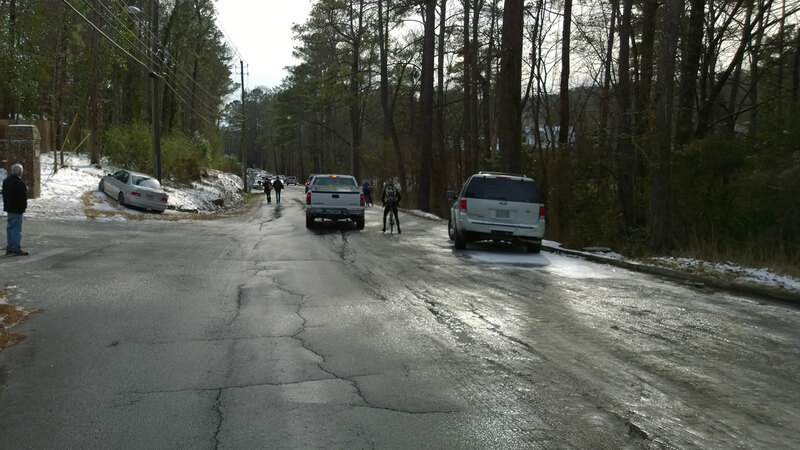 I opt to ride left on the melted side until a spot farther down where I can cross the ice at a 90 deg angle to the grass on the side of the road, which I ride down to the Rocky Ridge Rd bridge near the Countrywood neighborhood (next pic).